High quality permanent splices applied with crimp tools can add considerable bulk to a multi-wire bundle. 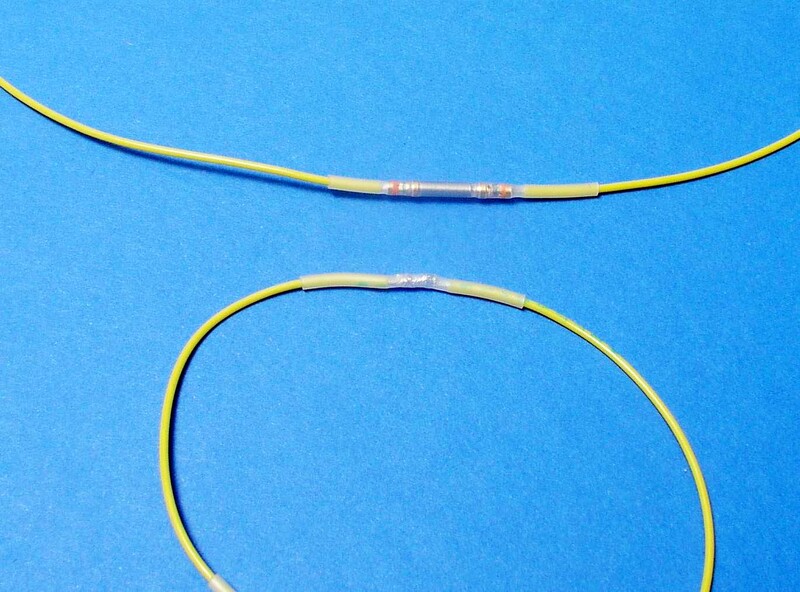 Modern crimp splices for aircraft are now available with very small diameters and volumes . . . but the individual splices and tools for installation are not cheap. Consider this technique which offers the same integrity and space savings with a little more effort and a lot less cost. 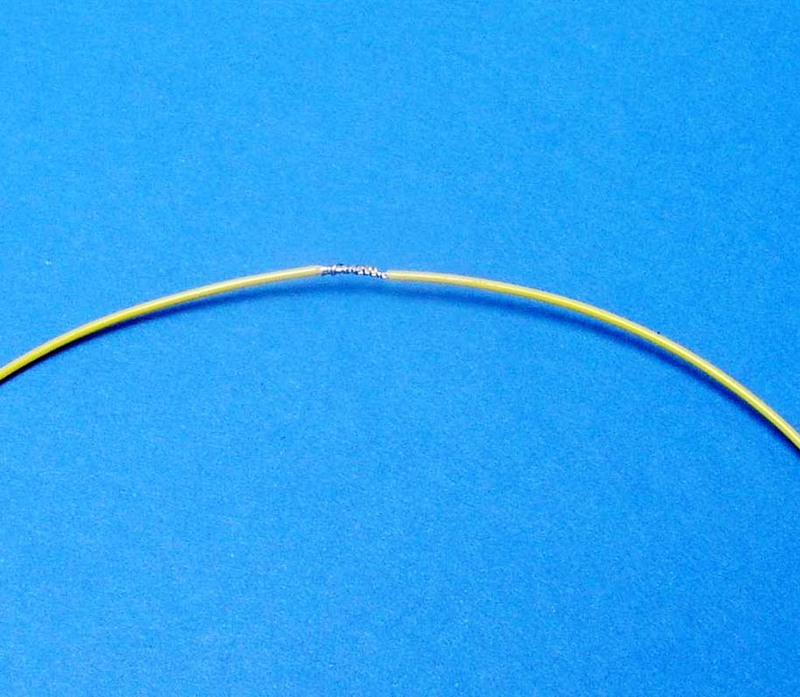 Now is the time to slip a piece of heatshrink over one of the wires. Overlap exposed wires and wrap loose strand around the joint to fixture the wires with respect to each other . . .
Solder the joint with tools of choice . 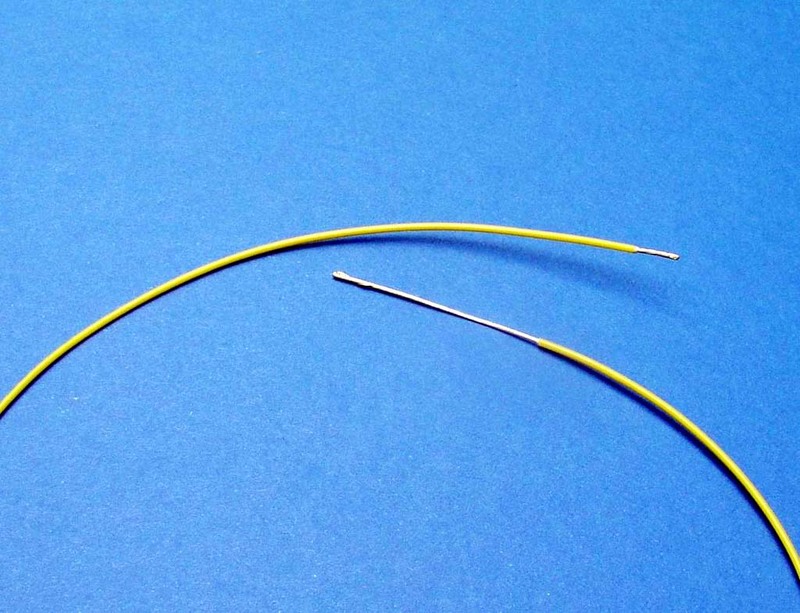 . .
Slip heatshrink over the soldered joint and apply heat to finish the splice . . . Here's a lap-soldered joint next to a d-sub pins joint. 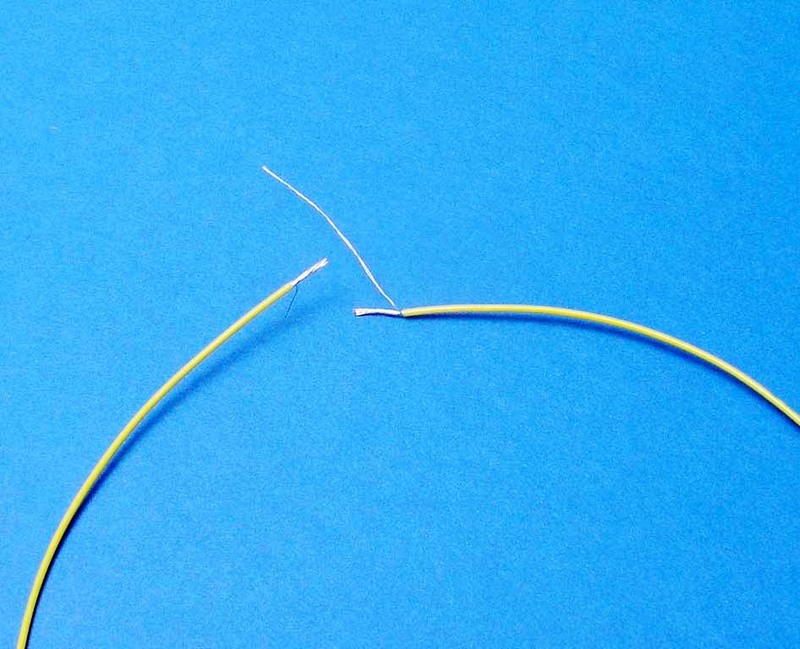 If you anticipate a future need to open the joint for maintenance, D-sub pins under heat-shrink are an ideal substitute for the more classic knife splices in small wires. If the joint is permanent, may I suggest that the soldered lap joint is preferred and costs less.